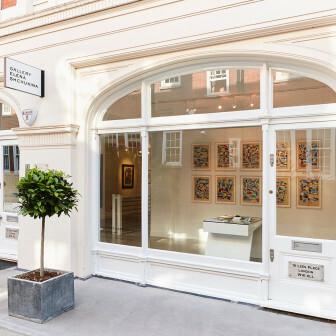 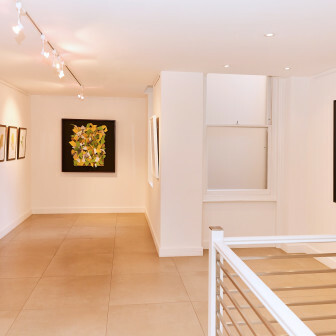 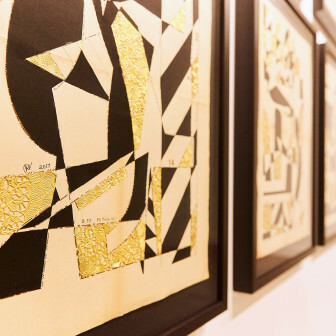 The solo exhibition Sanctuary brings together bold new, accompanied with some existing artworks from the London based artist’s signature collage technique, using French antique sewing patterns as the conceptual and material starting point for each work. 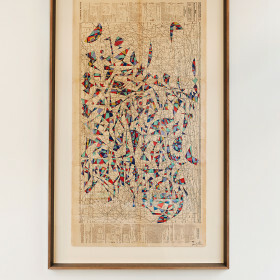 Painstakingly applying coloured and painted paper, acetate and textiles to fill in the planes between the lines, the artist breathes new life into these long forgotten patterns. 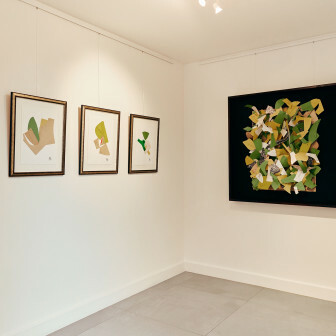 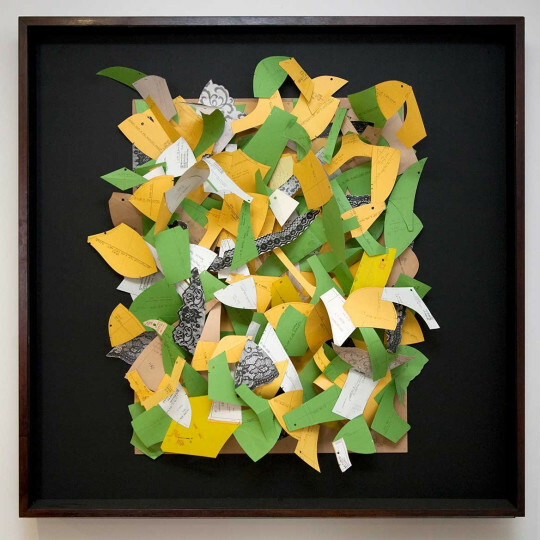 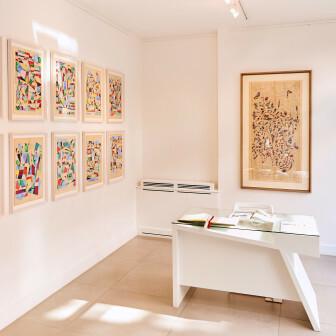 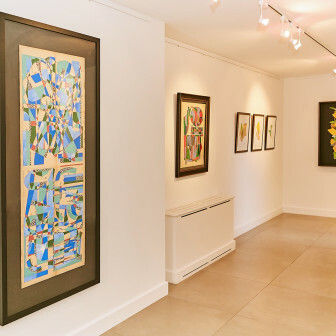 Inspired by notion of the garden as a metaphor for society, Narielwalla’s works in Sanctuary gather as a multi-sensory forest, a refuge from the chaos of urban life and open up a space for contemplation and reflection. 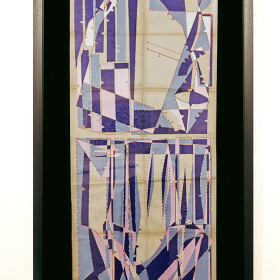 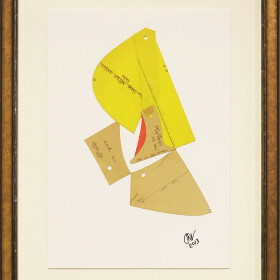 Understanding the garment pattern as the closest geometrical abstraction of human bodies, Narielwalla builds on the legacy of Cubism to introduce a fourth dimension of time and movement into his exploration of the body - compressing the sensation of a moment in time into one single image, as experienced in the silent drama of the artwork Pilgrim. 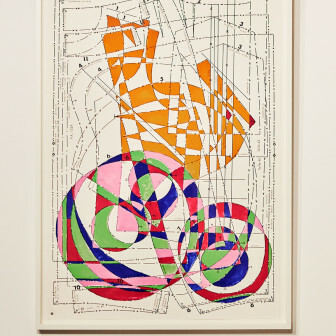 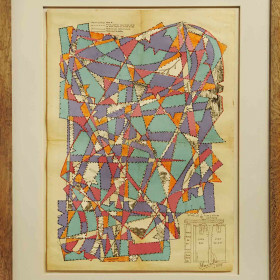 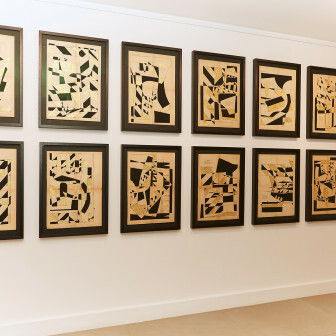 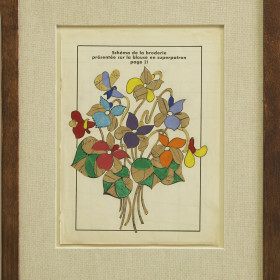 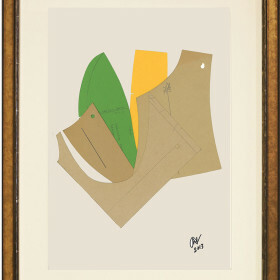 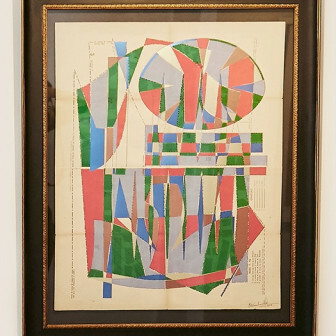 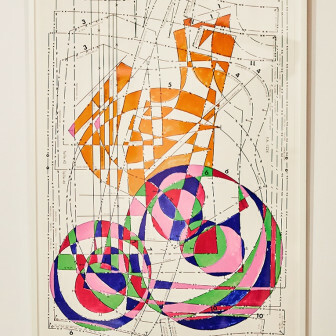 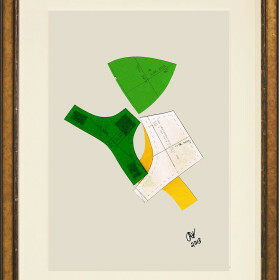 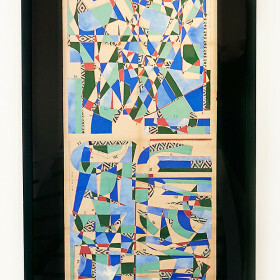 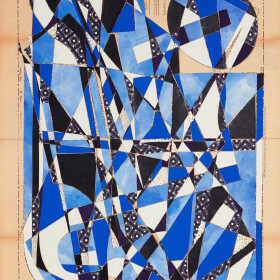 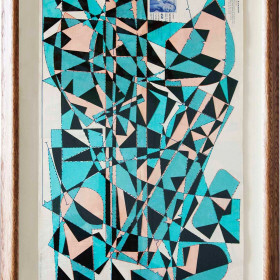 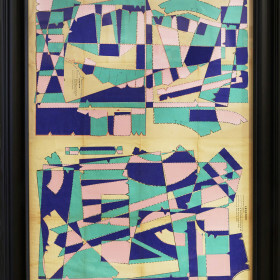 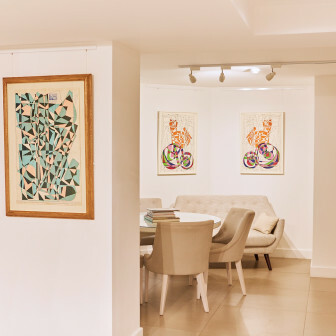 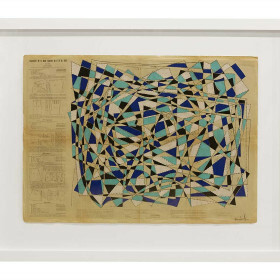 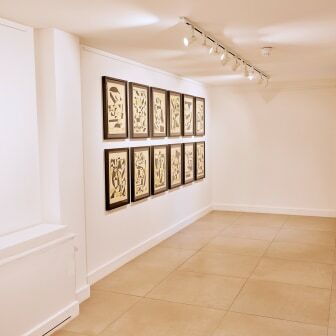 In the past Narielwalla’s art frequently took the form of an examination of the interplay of the human body and mind, as seen in his recent series Lost Gardens at the Southbank Centre in London. 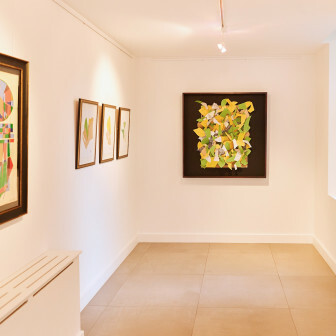 With Sanctuary the natural world is invited back onto the scene for a joyous celebration of the human creation, such as in Goddess of Fertility and Garden of Paradise. 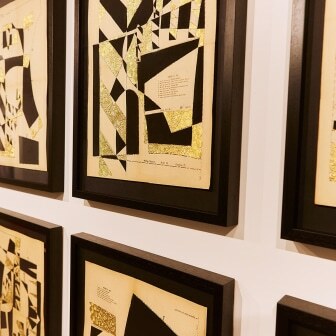 The exhibition is a timely reminder of the reaffirming spirit and union with nature that only an all-embracing human civilisation is capable of creating.